Need a breeze to sweep you off your feet but don’t have the space in your place? Try the Heller Wall Fan, easily wall mounted to save space and keep you smiling in the heat. Perfect for the space conscious, or those who want a little extra ventilation in the room. 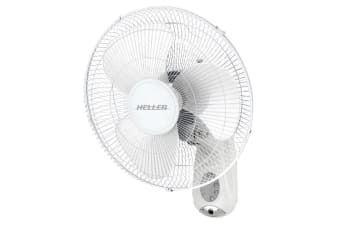 The Heller 40cm Wall Fan with Remote is simple to install and can easily be controlled through the handy included remote.